Zippo is one of the most popular brands of lighters. 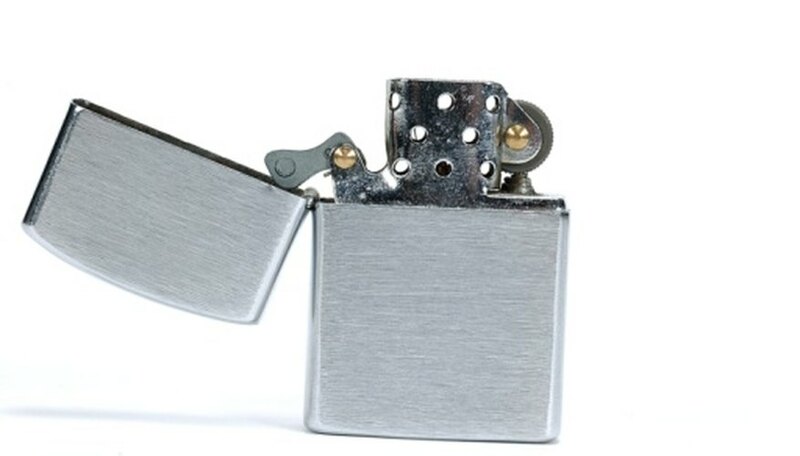 These heavy duty metal lighters have been around for decades and are known for their ability to stay lit, even in windy conditions. Zippo wicks are long lasting and durable, but they do need to be replaced every once in awhile. You can purchase a replacement Zippo wick from a retailer or you can construct your own in a pinch. Measure a 1 1/2 inch length of amophorous crystal silica or fiberglass yarn and mark the length with a permanent marker. Cut the wick at the mark with scissors or a razor blade. Pull out the Zippo insert and unscrew the flint sprint with a small screwdriver. Do this carefully as the spring may pop out as you loosen it. Pull the felt pad off and remove the packing material from inside the lighter with tweezers. Insert the wick into the wick chamber. Stop when the wick starts sticking through the wick chamber hole, halfway down from the top of the lighter. Use tweezers, if needed. Replace the packing material into the lighter. Wind the wick around the packing. Saturate the packing with lighter fluid. Put the felt pad, flint, spring and screw back into place. Screw in the screw until it is snug. Zippo has their own patented wick design; you can buy replacement wicks online, from Zippo retailers or at some tobacco and pipe shops.